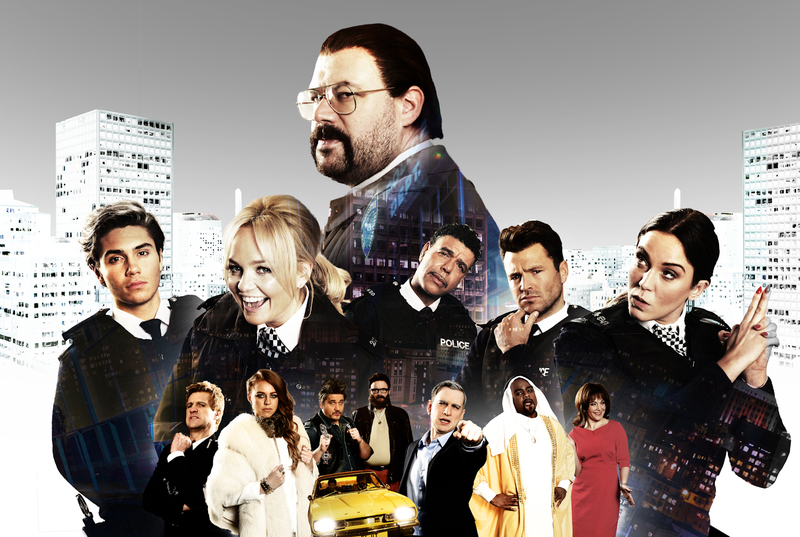 Next week sees the launch of Murder in Successville‘s second series: as the buddy cop celebrity sitcom gameshow hybrid returns to BBC Three on Wednesday 15th June. Over the course of The Velvet Onion’s time documenting this large family of interconnected comedy greats, the artists we feature on our pages have been responsible for some of the biggest smash hit shows of the last decade, as well as some shows which have, unfortunately, not quite made the cut. But there’s another possible fate which awaits some of the very best: the Sleeper Hit. And last year’s Murder in Successville may be a perfect example. Initially airing in May 2015, the show made a not insignificant ratings ripple and picked up a small cult following, but it’s fair to say TVO readers were divided on the end product – primarily, it seemed, because they didn’t quite know what to make of it. As we put it at the time, MiS is “a delightful mash-up that’s part Star Stories style showbiz sitcom, part Cluedo game show”, as Tom Davis’ gruff copper DI Sleet pairs up with a real-life celebrity to solve the murder of a famous Successville inhabitant. A murder which has definitely been committed by one of three showbiz names with alternate jobs, and all of whom are played by top-notch comic talent. Mary Berry ran the local strip joint, Alan Sugar the sweet shop, and the Carr Brothers (Alan and Jimmy) were involved in a gang turf war with Harry & Niall from One Direction. It was that sort of town. Throughout the first series, word-of-mouth grew, the concept was accepted, and by the end of the run, the cult had grown – but it is perhaps during the semi-frequent repeat airings during the final months of BBC Three’s terrestrial offerings that the show has really built up an audience impatiently waiting for more. It remains to be seen if the transfer to an online-only portal (the first big TVO-related production to turn up on the new BBC Three) will work for Murder in Successville, but on the strength of the first episode of Series Two, we certainly hope so, because this is a unique format that’s blazing every gun in its armoury. As is customary with each episode of MiS, DI Sleet is given a brand new rookie to shepherd through a case, and Episode One features Geordie Shore’s Vicky Pattison – still fresh from her recent crowning as Queen of the Jungle in I’m A Celebrity, Get Me Out of Here and currently a regular on ITV panel show Loose Women. But wait: don’t let that put you off! In much the same way as she charmed the mainstream nation in the Australian bush, Pattison is a likeable presence who, like the best rookies from Series One (Greg James & Kimberley Wyatt, we’re looking at you here), gives as good as she gets. And as always, Tom Davis is on fire as DI Sleet. 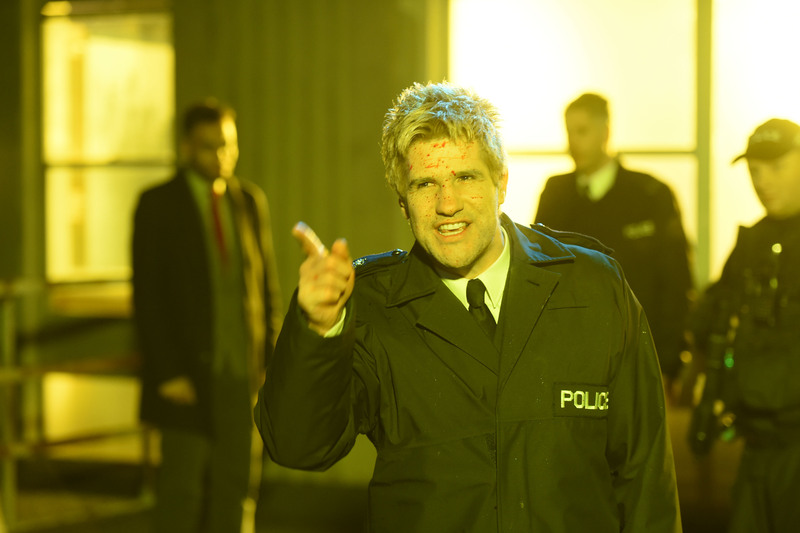 This is a character that Tom now knows backwards, and ably supported by the sublime Liam Hourican (Very Important People) as his boss Gordon Ramsey, as well as the criminally underrated Nico Tatarowicz as put-upon PC Sid Lowecroft, Davis can let rip with just about any thought that comes to his head, and know his team are ready to keep things flowing smoothly around him. And when a guest rookie joins in as willingly as Vicky does, the results are all the more delightful. The show isn’t resting on quite the same formula as that of series 1 either. There’s no time to look at a body and talk to CSI expert Brian Cox or morgue attendant Richard Hammond on this occasion; Sleet and Pattison are just getting to know each other with a game of pass the parcel when the former is framed for a murder he didn’t commit, and it’s up to Pattison to bust him out of jail with a mock argument, before going undercover to grill potential suspects. For the first episode, the suspects are local politician Len Goodman, rival detective Lewis Hamilton and Sleet’s jilted lover Lorraine Kelly, and each one puts Pattison in a tricky spot. And while there’s fun to be had from watching Pattison burst out laughing, or Davis and the supporting cast members struggling to keep a straight face whilst improvising with one another, the set-ups this year are smoother and offer more scope for the actors, as well as a bigger challenge for the rookies. And so, Pattison must pretend to be an MI5 agent to grill Lewis Hamilton (Ben Bailey Smith, aka Doc Brown), become best buddies with a rather sozzled Lorraine Kelly (S1 veteran Marie Lawrence) and pretend to be a Cockney geezer to find out what Len Goodman knows: no mean feat when the latter is portrayed by the legendary Paul Whitehouse. Whitehouse is one of a number of big names making guest appearances in S2 (another is the magnificent Paul Kaye who appears in Episode Five), which really lends kudos to the production and will hopefully point more people towards the show now it’s tucked away on iPlayer. Because at its best, Murder in Successville is a gloriously silly way to spend half an hour, with the added bonus option to play along at home, and enough of a frisson around the improv elements to feel like you’re always in on the joke. And let’s not forget: there are jokes aplenty, thanks to a bristling script from Davis and Tatarowicz, and genuine improvised additions from the cast. All in all, if you enjoyed last year’s series, there’s little doubt that Series Two is right up your street: this is more of the same, with bells on. And if you didn’t, maybe it’s time to give a more polished version of the concept a chance. Future episodes will include the likes of Colin Hoult, Tony Way, Ellie White, Cariad Lloyd and Justin Edwards, which should surely be the extra stamps of quality you need to give this a spin. Provided the rest of the rookies are as up for it as Vicky Pattison, this is going to be a dynamite run indeed. 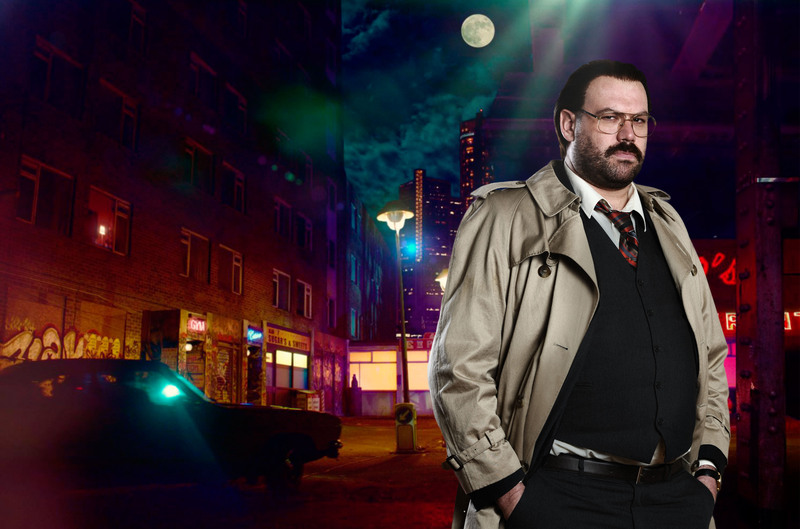 Murder in Successville returns to BBC Three and iPlayer on Wednesday 15th June.